Last month our buddies over at Chewy.com sent us Nature’s Variety Instinct Raw Boost Minis to try and we’ve been hooked on them ever since. 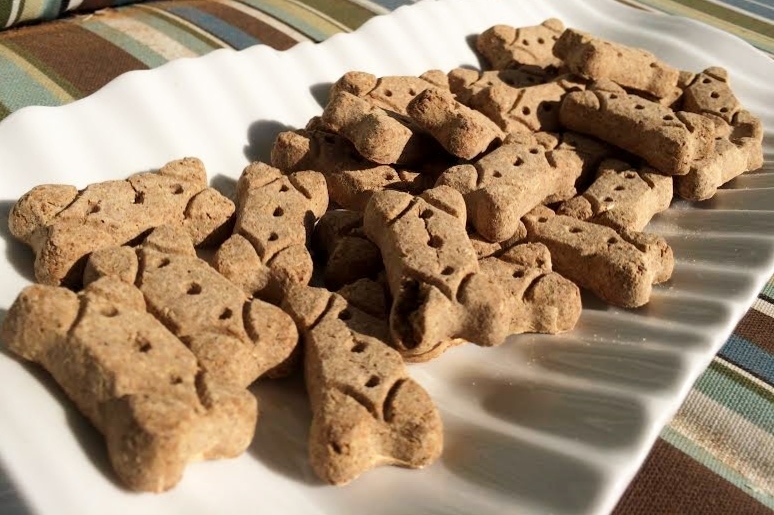 I’ve give these little nuggets to many of Teton’s dog pals and they’ve all gone crazy for them so I think that’s the sign of a treat that will become a staple in our house. One dog in particular that loves the Raw Boost Minis is my parent’s new puppy, Milo. Yep. That’s Milo. Too bad he isn’t cute, right? 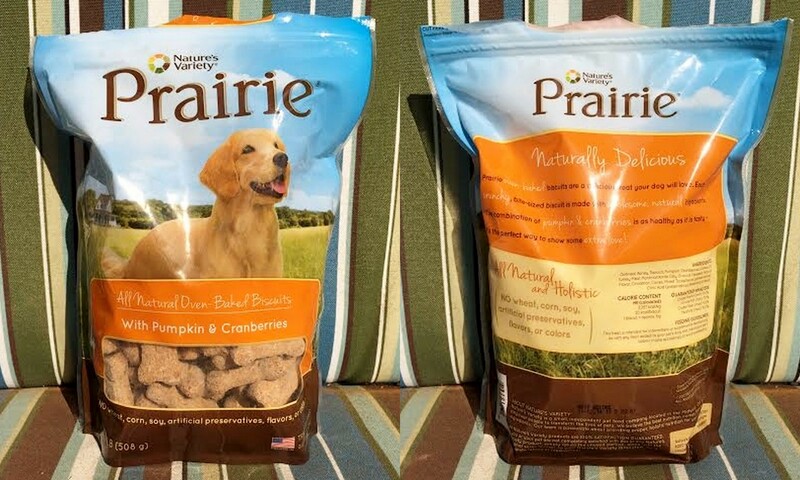 Anyhoo, since we loved our first Nature’s Variety treats so much, Teton and I were happy to test another Nature’s Variety treat called Nature’s Variety Prairie All Natural Oven-Baked Biscuits. I selected the Pumpkin & Cranberries flavor because I know Teton loves pumpkin and he hardly ever get cranberries so I thought it would be a nice change. Made right here in ‘Merica, this particular flavor has only a handful of ingredients including oatmeal, pumpkin, cranberries, turkey meal, barley, cinnamon, and flaxseed. This is the kind of treat where, when you open the bag, you can instantly tell that they’re full of good, yummy ingredients! Y’all know that I like to test out Teton’s treats from time to time (hey, I’m a helicopter mom – what can I say?) and while I didn’t test these particular treats…I kinda wanted to because they smelled so good. I don’t typically buy biscuits for Teton since discovering smaller training treats like Wet Noses Little Stars, Cloud Star Itty Bitty Buddy Biscuits, and Zuke’s Mini Naturals, but I really appreciate the size of these biscuits and think I would buy them again because of it. 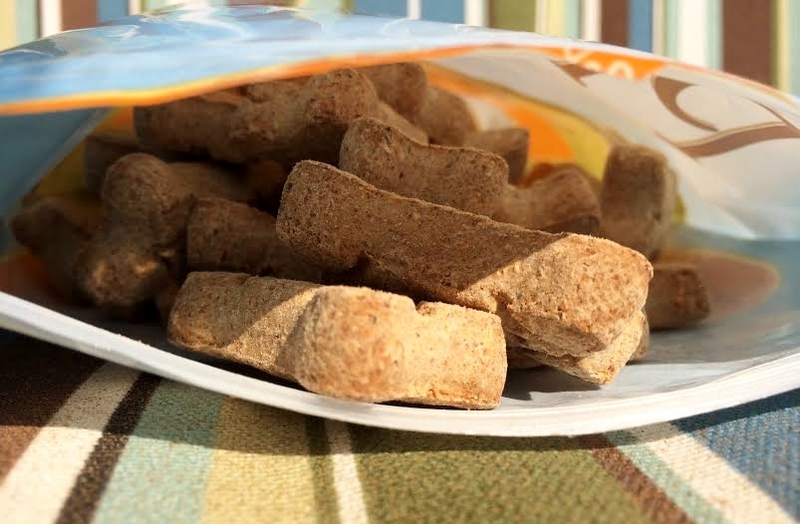 They are roughly half the size of your “typical” biscuit which means they’re perfect for small, medium, and large dogs. A 1.12-lb bag will run you $6.99 and last you for quite a while! Thanks, Chewy, for sending us these tasty treats! Posted on May 30, 2014 by Shannon	This entry was posted in Treat Jar. Bookmark the permalink. 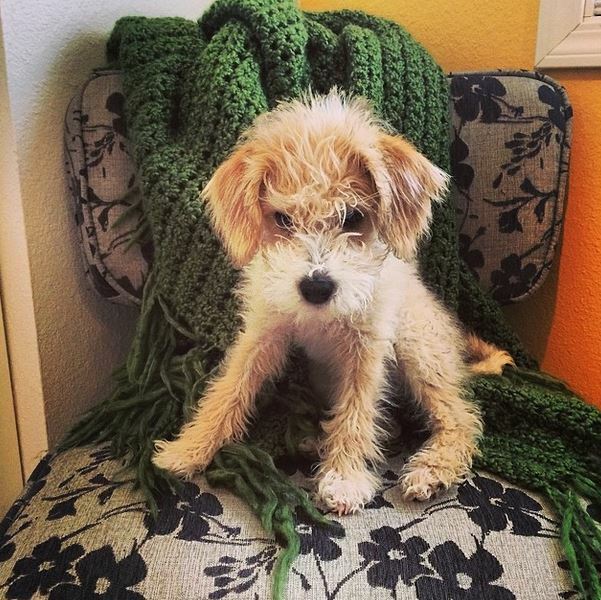 But seriously, he is such a lovely little dog.